Need a deep, nourishing bowl of comfort food? Something that soothes as well as satisfies? Then you need potatoes. 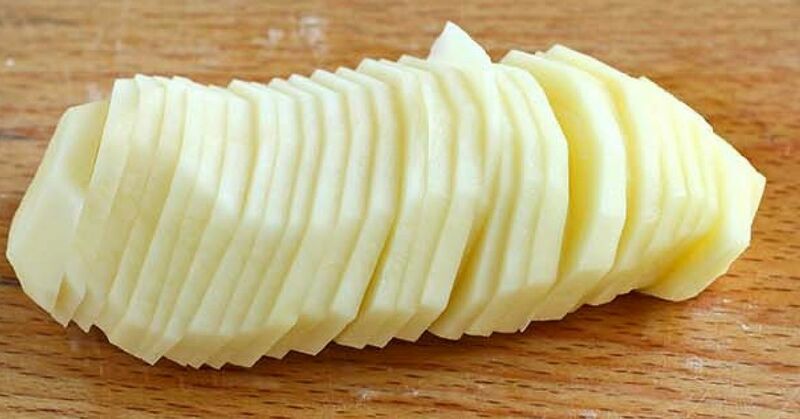 With very little adornment, potatoes seem to possess the uncanny ability to calm nerves and put smiles back on faces. 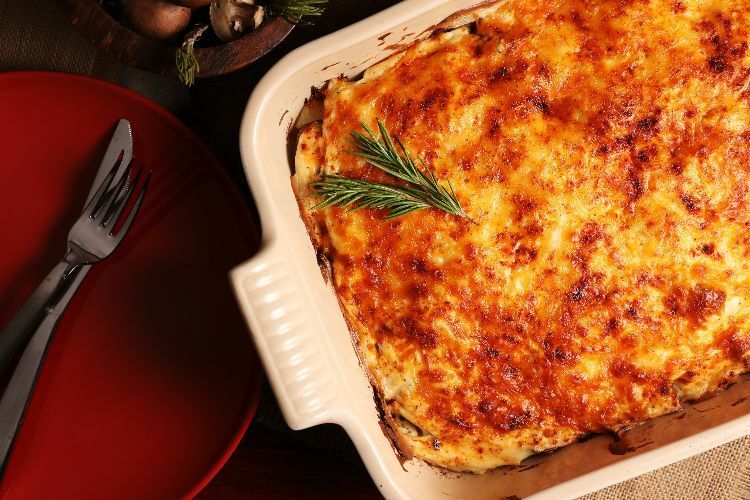 Spectacular with spices and positively life-affirming when cooked with cream and cheese, there are few hero ingredients more versatile than the humble potato. Steam them, bake them, fry them or mash them with butter -- it's pretty hard to go wrong! Arguably, potatoes are at their very best when dressed to kill in creamy, cheesy sauces with a few flecks of herbs. If you concur, then you'll love this. Simple, easy and thoroughly delicious, this baked potato dish shines with its crust of parmesan and hint of nutmeg. I'm a true potato lover. I would happily eat potatoes every day of the week, but sometimes even I get bored of the usual mashed, roasted or baked versions. 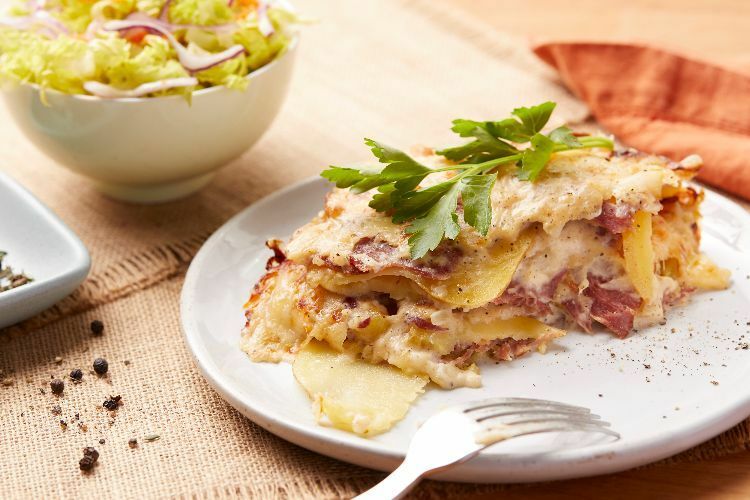 This simple, rustic ham and potato casserole recipe is a wonderful way to reignite your potato love. Serve it as a hearty side, a simple weeknight entree or even for breakfast or brunch. 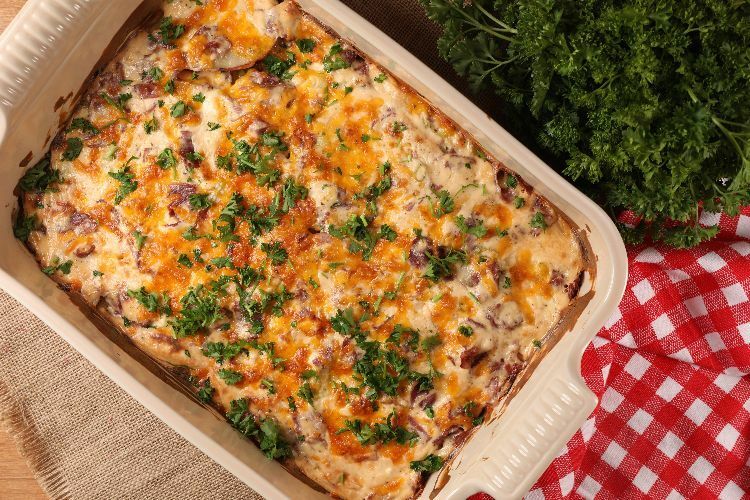 This easy recipe calls for basic red potatoes, cream, Italian seasoning, and three delectable kinds of cheese to create a potato casserole worthy of any special occasion. 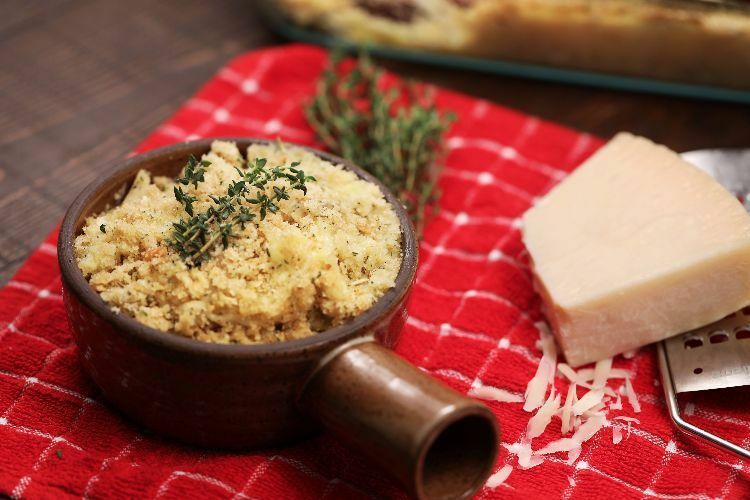 This beautiful dish is perfectly paired with chicken, pork or beef, and it's a wonderful accompaniment to homemade stews or pot roasts. 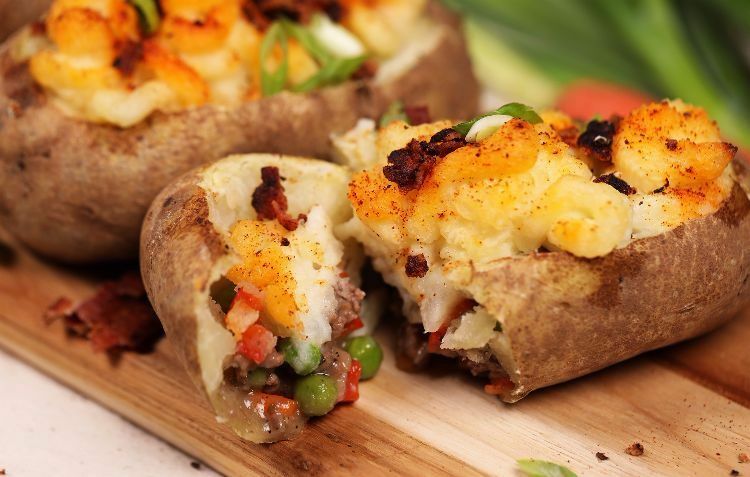 What better way to combine potato skins and shepherd's pie? 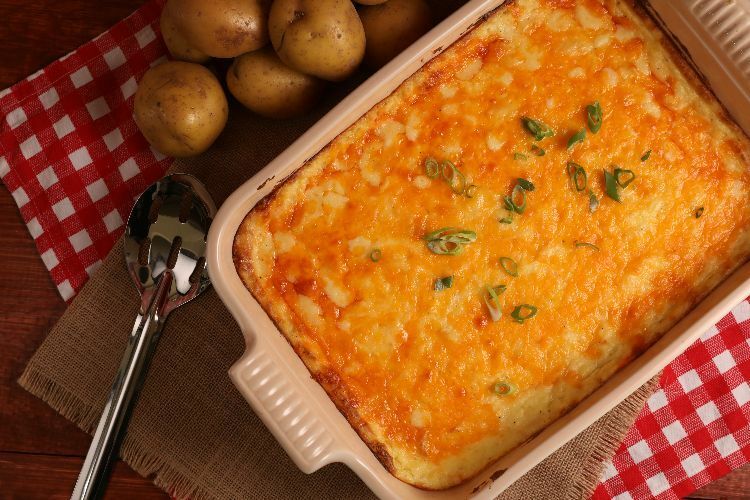 Make sure to use Idaho or Russet Potatoes in order to achieve a nice fluffy mash. 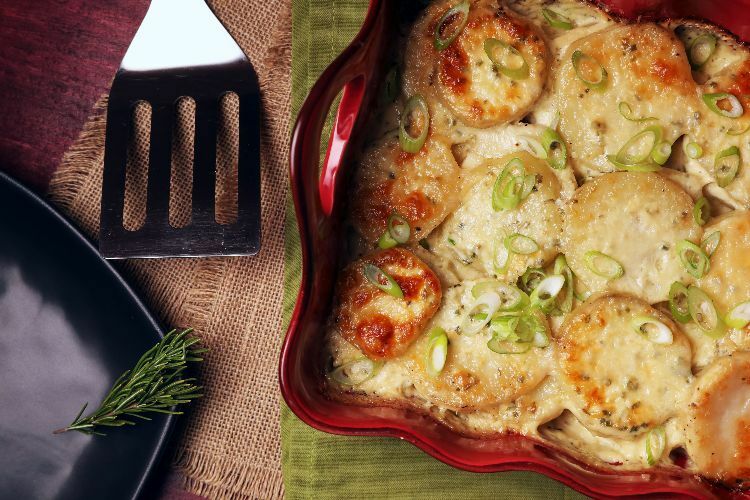 Although few would argue that potatoes love to be baked with cheese and cream, that's not to say there isn't room for another fabulous flavor. 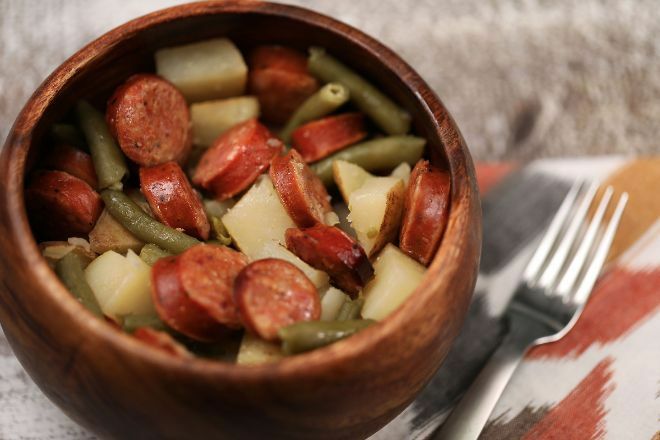 This recipe brilliantly adds smoked sausage and a dash of paprika to dial up the comfort factor even more. Sometimes potatoes taste best in salad form. 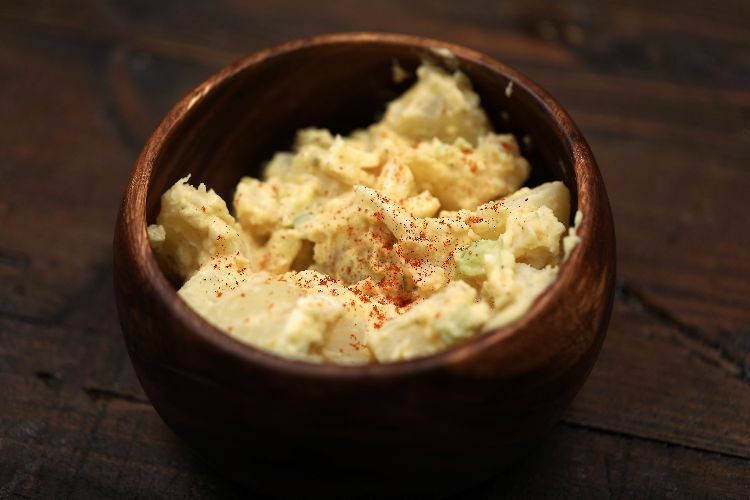 This recipe is easy to put together and serves as a great side dish to any meal. If there's someone out there who doesn't like mashed potatoes, I've yet to meet that person. 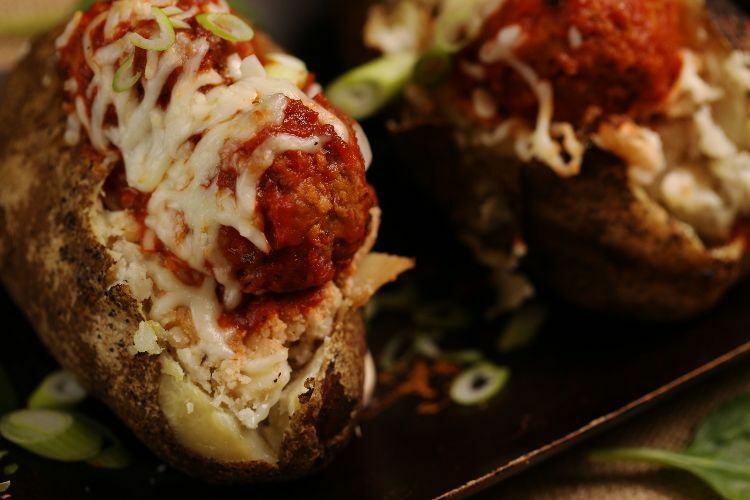 This recipe nails everything that is wonderful about this family-favorite dish, and then adds some serious culinary magic. Don't expect any leftovers. No matter what the season, having a one-pot recipe is both a time and energy saver. 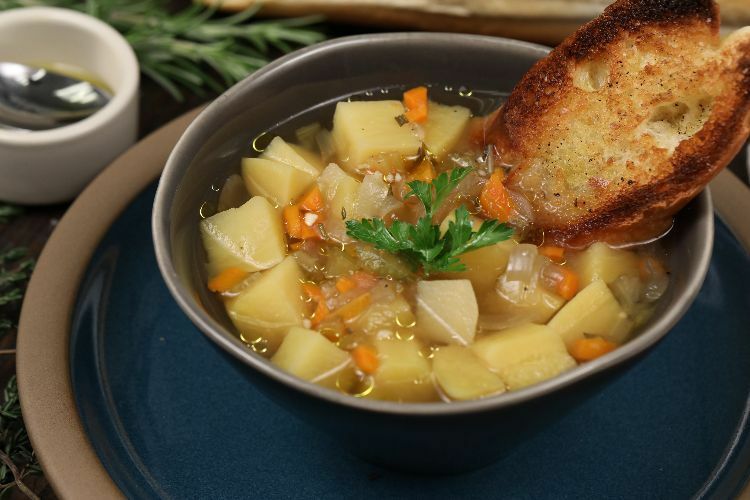 This slow cooker recipe definitely fulfills both of those promises and requires almost no preparation whatsoever, so you can quickly pull together a hearty dinner featuring protein and vegetables.